Introducing the Easy Breather Pillow from Nest Bedding. It uses shredded memory foam on the inside. It has a fluffy feel that I think most people will love. This is our favorite pillow to date. Use our link below and code PILLOW5 for $5 off your order! What I really like about this pillow is that it has the memory foam feel and support while allowing you to adjust the fill. In addition this is the “fluffiest” shredded memory foam pillow we have tried. It has a unique feel that I personally love. I have been putting this video off since I have been using the pillow since I got it a few months back. Depending on my sleeping position I like to shape and adjust the pillow fill accordingly. This allows for that vs a solid foam core pillow. It should appeal to more people being that you can do this. Some foam core pillows tend to be too thick for me so its nice to be able to adjust fill and remove some if necessary. Discounts – best price available. Just click our link. 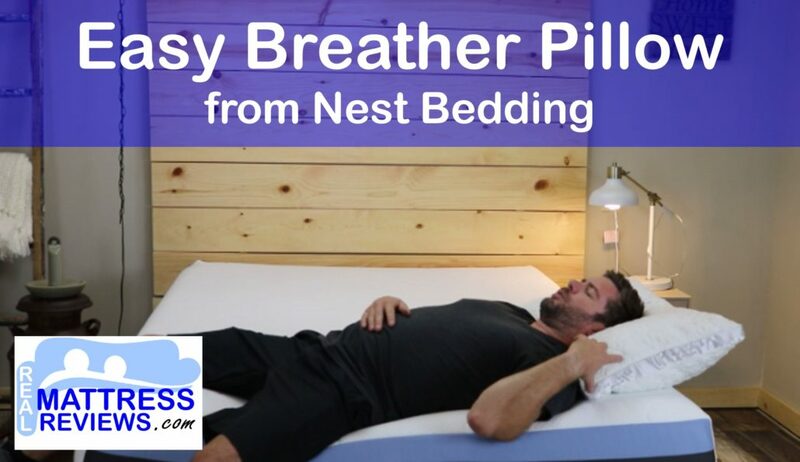 The Easy Breather pillow is made by Nest Bedding. Nest Bedding is known for our dedicated customer service, unique American made products and great prices. We feature a full line of organic and natural, AFFORDABLE bedding such as organic sheet sets, organic blankets, organic pillows, organic duvet covers, and the best selection of organic bedding in the bay area. We carry the famous Love Bed and The Alexander Signature Select Mattresses. USA made mattresses starting at $799 Queen size. We have USA made and grown organic cotton sheet sets starting at $69 and separates available too.